Wish my ear was as fine tuned to the orchestra like yours. I can only tell when the orchestra is really bad - so off the deaf can tell. And I've heard some bad orchestra playing. Something SFO is not guilty of. I only seem to notice if the orchestra is not in sync with the singer - ahead or behind the singing. When Liscotti was conducting, I did start to notice certain instruments standing out - in a Boheme the beautiful stringed instruments that closed Act I; something I never really noticed before. But since he has left, I can't really tell. Perhaps you have to hear the piece many times to be able to pick out something detail that is being emphasized. 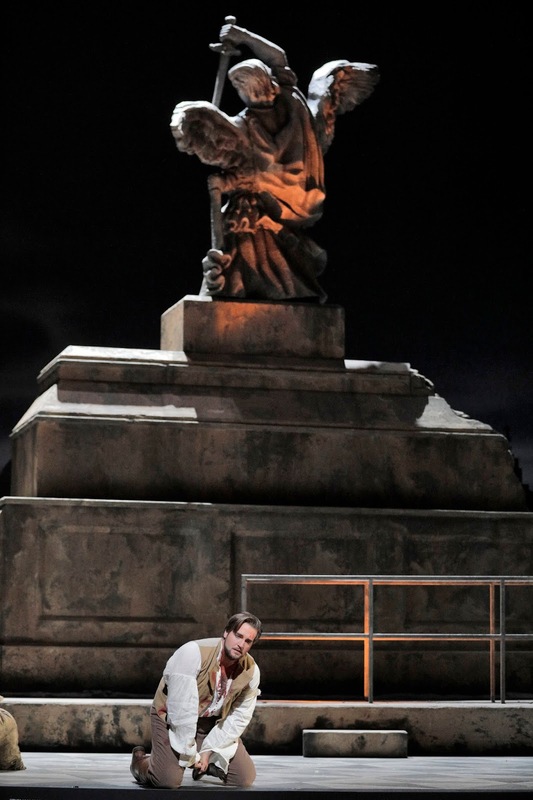 Like you, I have no idea why management felt a need to get a new production of Tosca. The old one worked fine. 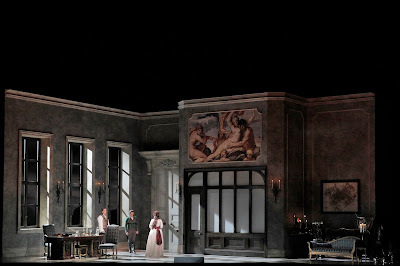 I missed to Ponnelle Tosca set, but I do recall a Tosca in like 1992 or so that was "new" - it played once, never to be seen again. 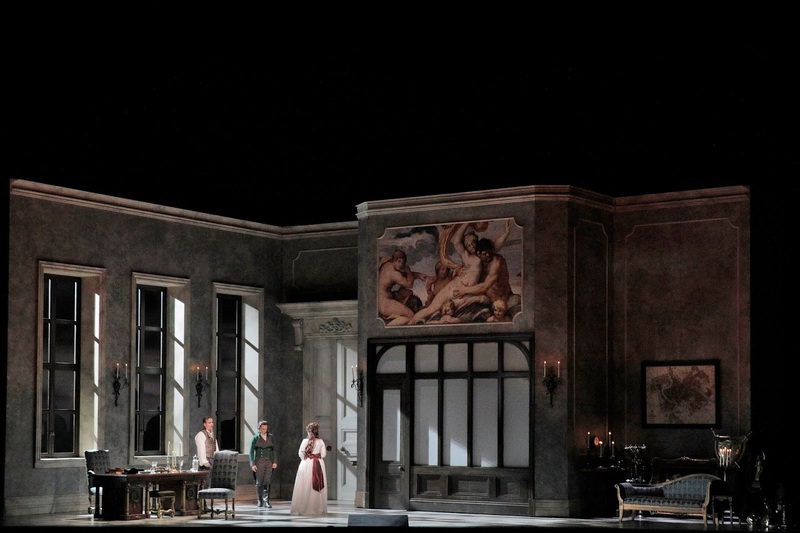 This set had the title printed on the curtain that came with the set - guess they wanted to remind you that they were presenting Tosca. I recall this was Maria Guleghina house debut. I don't think she ever returned. Wonder what happened to that set. It was my first Tosca so I remember it quite well. Maybe SFO sold it. Also, the costumes for the ladies look not in period. Isn't Tosca supposed to be set during the Empire period? As such women wore those dresses that belts right under the bust? The costumes in for this production looked more in line with the period after Empire, before the wide hoop skirts of the mid 1800s. I did enjoy Ms. Giannattasio's performance immensely. 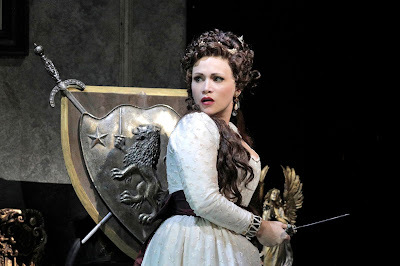 I think she may be the best Tosca I've seen. Great voice and good acting. Hope she comes back. I too would like to see her in Verdi or even more Puccini. I also liked Mr. Jadge. I agree he has improved since he first sang the tenor lead at SFO. Back then I thought he was pushing his voice to fill the hall. Now, it is plenty loud and still very lush. He has definitely refined his performance - but maybe it's time SFO got another tenor - especially one with the same initials for Caravadossi. But am plenty happy Brian sings here often; if only management would cast him in different roles. Back to the production. 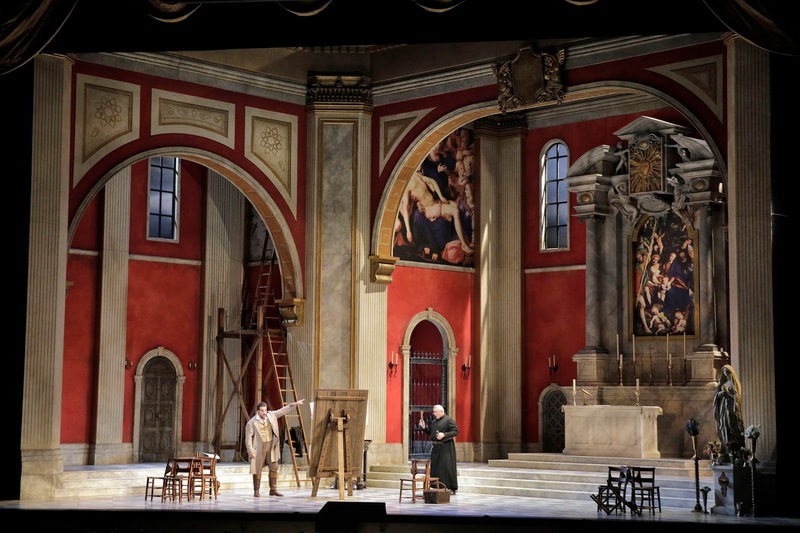 Every time I see a new Tosca, I am always hoping to see the director stage section where Tosca places the candles around Scarpia differently. But perhaps the staging is so tied to the music it's impossible to do something else. But I keep hoping. 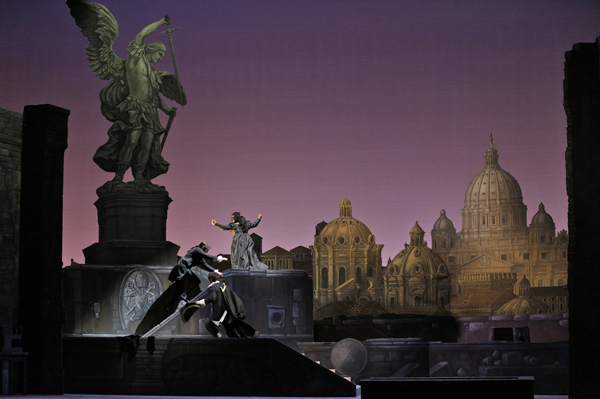 It also amazes me that Tosca's don't cross themselves after they killed the good Barron and realized what they've done. They pretty much drop the knife and look terrified. I think most Roman Catholics would cross themselves as they are in the presence of a dead body. At least that's my reaction. But I've never seen it done that way, not even with the great Maria Callas (what little taped evidence we have of her Tosca, Act II). Anyway, just wanted to share my thoughts. Keep the reviews coming. I suspect Arabella will be next. Another one will I miss, but we talked about that in previous posts. Hi! Thank you for the extensive comments. Luisotti's style and ear did sometimes balance the orchestra differently from other conductors. 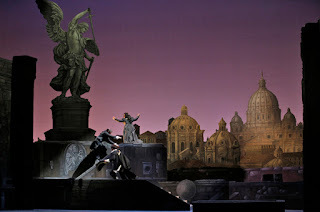 I do not think that I saw the Tosca with Guleghina. She was back the following year for Queen of Spades, according to the SFO archive. Here's the cast page for Tosca . The opera takes place in June, 1800, and it should be possible to date it closely based on the news of Napoleon's victory at Marengo. You mean the dresses in the current production? They do look a little later than what you usually see. LOL, I don't know whether the other BJ has Cavaradossi in his repertory, but yeah! I will be at Arabella on Nov. 3.